Pakistan has been added to the grey list of countries involved in providing monetary assistance to terrorism. The decision came after a Wednesday meeting of the Financial Action Task Force on Money Laundering (FATF). Caretaker finance minister Dr. Shamshad Akhtar presented Pakistan’s case at the FATF talks in Paris. She explained the steps taken by Pakistan to stem money laundering and terror financing. Dr. Akhtar put up a strong case to not place Pakistan on grey list. Dr. Shamshad Akhtar led Pakistani delegation and talked about Islamabad’s efforts against the banned outfits and various terrorist groups. The Pakistani delegation’s case indicated that the nation has been working to restrain financial assistance for terrorists, improving existing laws, and ensured improved implementation of the current regulations. Speaking in light of the latest development, Azam Khan, the caretaker minister of interior affairs, said the watchdog was under pressure from the United States and India, both of which together also compelled Turkey, Saudi Arabia, and China. 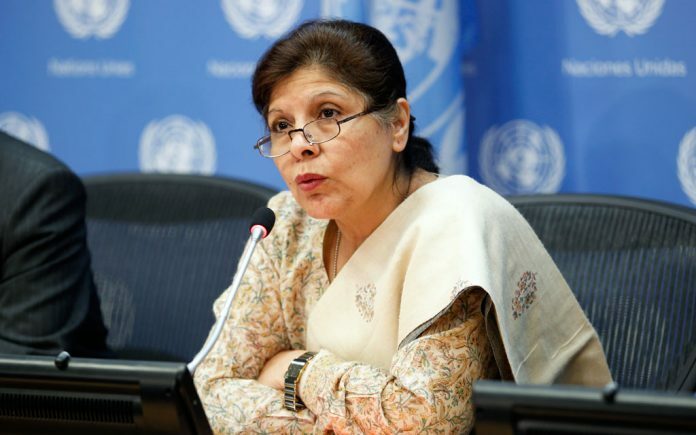 Dr. Shamshad Akhtar reached Paris on June 24 along with officials to defend country’s case, had requested the FATF not to put Pakistan on grey list. In light of the FATF’s recommendations, the Securities and Exchange Commission of Pakistan (SECP), issued the Anti Money Laundering and Countering Financing of Terrorism Regulations, on June 20, 2018. Earlier on June 8, National Security Committee had reaffirmed its commitment to cooperate with FATF and strive towards realizing “shared objectives”. Sources have indicated that Pakistan will be granted more time to implement necessary measures to be compliant with the FATF’s anti-money laundering and terrorist financing regulations, that did not turn out to be the case in the six-day meeting in the French capital that runs from June 24 through 29.